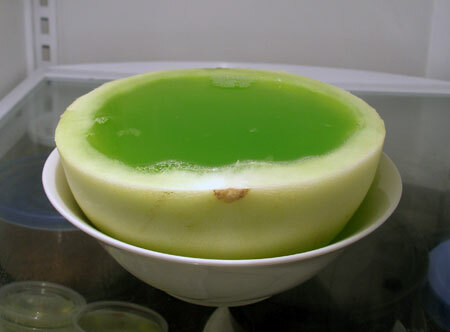 This recipe is for one half of a honeydew melon. If you would like to do the whole melon, double the amount of ingredients. Cut the honeydew melon lengthwise. 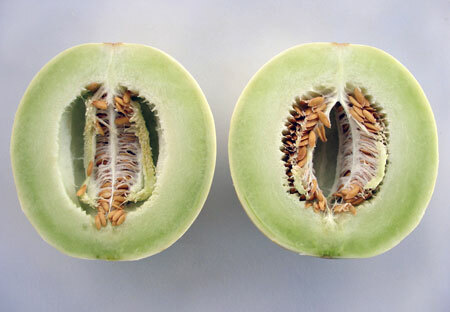 Using a spoon, scoop out the flesh of the melon leaving about 1/2 inch (about 1 cm) of flesh in the melon. Place the honeydew melon in a bowl. Note: You can place a towel between the melon and the bowl to keep the melon upright and stable. 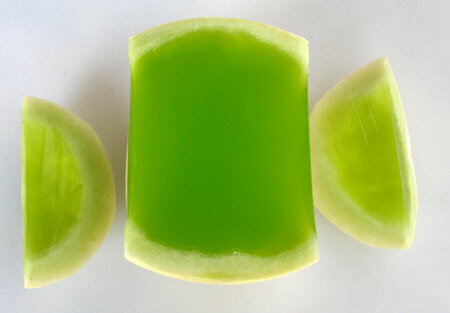 Pour Midori and vodka into a bowl or container. Sprinkle the gelatin over the liquors. Let it stand for about one minute. Boil 1 1/2 cups of sweet and sour mix and pour it into the gelatin mixture. 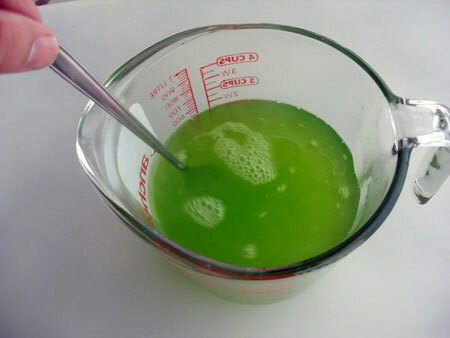 Stir well until the gelatin dissolves completely. 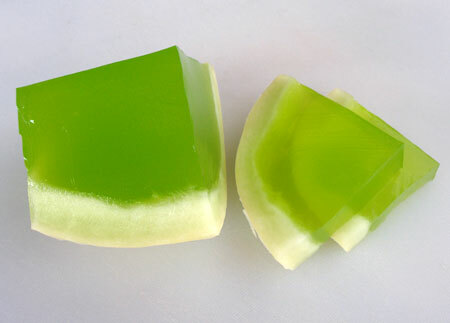 Fill the honeydew melon all the way to the top with the midori sour gelatin mixture and place it in the refrigerator. Refrigerate overnight or until firm. 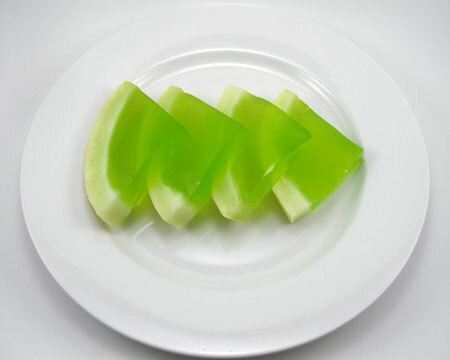 Once the gelatin is firm, cut the ends of the honeydew melon with a warm sharp knife. Then, slice the melon in half from one end to the other. Using a warm sharp knife, slice the two honeydew melon pieces into wedges. 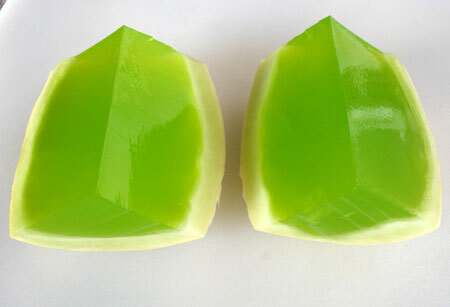 Place the midori sour jello wedges on a plate and serve.